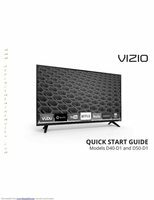 The original VIZIO XRT122/XUMO Remote Control is in-stock and ships within 24 hours. 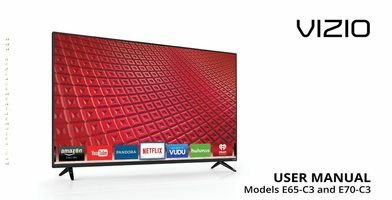 The original VIZIO XRT122/XUMO Remote Control carries a 60-Days Warranty. 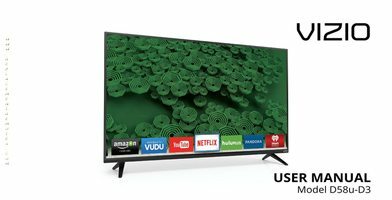 VIZIO XRT122 TV REMOTE CONTROL WITH XUMO, NETFLIX AND IHEART RADIO APPS. by paul on August 31, 2017.
by Jennifer on August 22, 2017. Great replacement remote, which is actual original equipment for my tv. Bonus was finding out the company is here in my town and just a few minutes from my house. Definite recommendation. by JOHN H on August 14, 2017. Great remote so far. I did have a complication with the shipping because it was delayed for a couple of days. Other than that great product. by Fatashe on November 14, 2017.
by Lance on September 12, 2017. Works perfectly, received in a timely manner, reasonably priced. by Renee on August 17, 2017.
by Derik on August 14, 2017. Arrived earlier than expected and works great!! Thank you!! by Bryce on August 13, 2017. Love having an additional remote (our original got lost). 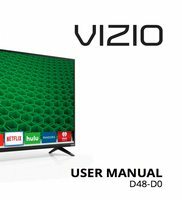 All we have as far as electronics are VIZIO brand. 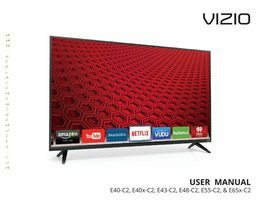 VIZIO has proven to be a winner!!! by Amy on July 14, 2017.
by David on July 05, 2017.
by Michael on July 01, 2017.
by ryan on June 26, 2017.
by Angela on April 22, 2017.
received in good condition - works great! by Judy on April 04, 2019. Speedy delivery - perfect transaction! by Therese on April 01, 2019.
by Richard on February 18, 2019.
by michael on February 03, 2019.
by Charlene on January 24, 2019.
by Peter on October 17, 2018. Thank you just what I needed Works perfectly! by Maureen on September 26, 2018.
by Joseph on September 11, 2018. 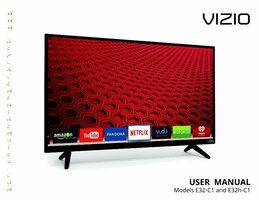 I was scepticl about getting this item thinking it wouldn't work but to my surprise works great we have all Vizio TVs and the remote works great on all Of them? by Michelle on July 18, 2018. Shipped quickly and exactly as ordered. Thanks. by Debra on July 11, 2018.
the replacement was even better than the original! it works perfect and I can only tell the difference by the way it works better than the old one! by Kevin on July 05, 2018.
by William on July 05, 2018. It works like the original remote. No complaints. by Mona on July 01, 2018. Exact replacement remote I needed. Arrived quickly. Great service. by Jennifer on February 06, 2018. The remote came quickly and as refurbished remote it is in great condition and works perfectly. Definitely would recommend! by Lorraine on November 11, 2017.
by Jo Ann on November 09, 2017.
by Kenneth on October 28, 2017. Love the remotes I bought from them. It was a fast easy way to get new remotes for my Vizio TV. When I called and talked to the gentleman he answered all my questions and was super nice. Will definitely use again if needed and recommend to friends and family. by Cassandra on October 21, 2017. Got exactly what I ordered. Delivery was very fast. Tyvm! by sheri on October 18, 2017. Very happy with the ease of ordering and the communication. Thank you!!! by Janet on October 16, 2017.
by Janet on September 26, 2017.
by Joseph on July 27, 2017. The exact part needed arrived when promised. by Tony on July 21, 2017.
by Shareeka on July 08, 2017. Thought that I might have to program the remote control when we first received it but didn't have too. Worked great with the Television. Would recommend if you need a remote control for your Vizo. Price is resonable and all you need to do is put in the batteries and begin to use it. by Clarence J on March 21, 2017. It is the exact remote needed. The remotes sold at Best Buy are much higher priced and universal. I could not get their's programmed. This one worked exactly like the original. Good price and the speed of shipping was really fast. by Neeley on March 14, 2017.
by John on January 25, 2017. No delay in shipping. Remotes arrived in specified condition or better. No recommendations for improvement. by Edward on January 08, 2017.
by Roberta on January 06, 2017.
by Beonka on October 02, 2016.
by Nicole on September 11, 2016.
by Michael on August 28, 2016.
by Mary on August 23, 2016. Perfectly smooth transaction and awesome prices and products! by Andrew on January 29, 2018. Arrived in schedule. Works great?? by Gina on July 14, 2017. My kids somehow lost my original remote.. I found this online and ordered it with the faster shipping. I was beyond relieved when I tried it and it worked exactly as well as the original. My wife and kids are convinced I found the old one! Definitely a satisfied customer!! by Daniel on July 03, 2017. Product was received quickly. Appears to be new and is working great! by K on May 11, 2017.
by Diane on May 09, 2017. Pleased it came so quickly and worked well. by Nancy on March 29, 2017.